It's stitching time with this Heart on a Spool Needle Minder! 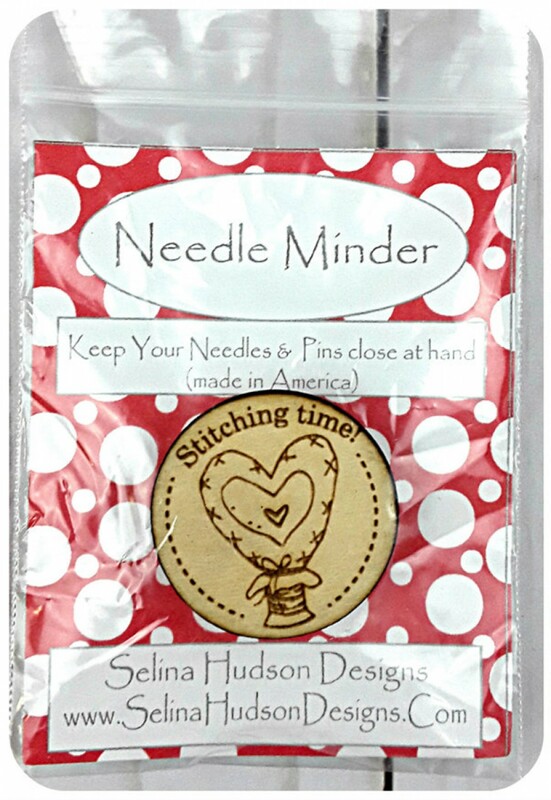 Never lose a needle again and keep your needle close at hand when stitching. 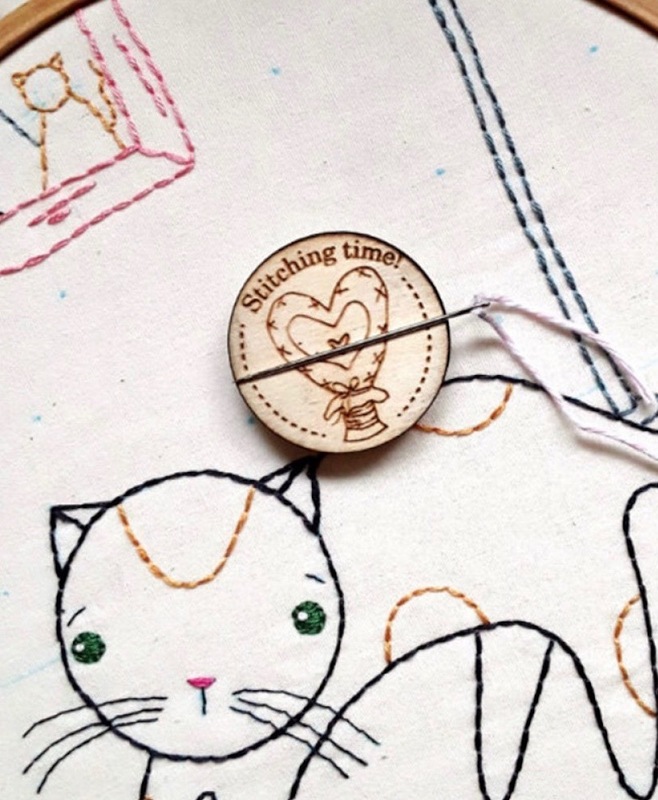 This needle minder is cut from wood with a cute design. This is highly magnetic, fits on your hoop, and will not fall off. Just place your needle on the needle minder and it will cling to the top. Also, when you change thread, the needles will stay put. It is so handy when bringing your projects out and about with you. This is a fun gift to give and also makes an adorable kitchen magnet for the fridge! Heart on a Spool measures 1-3/8in x 1-3/8in.